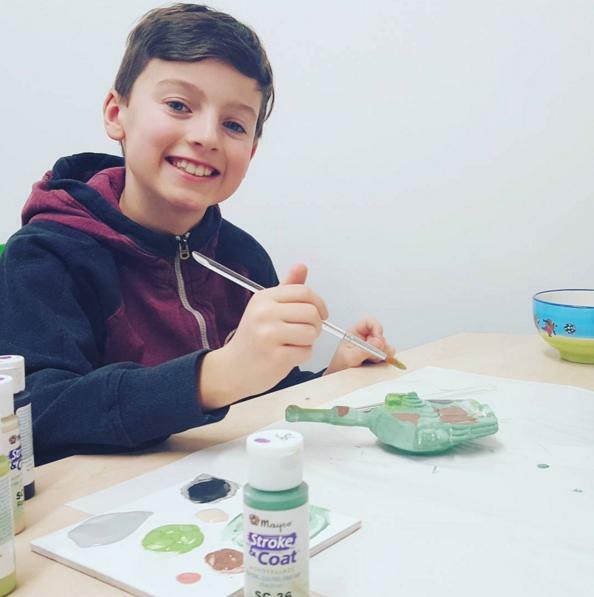 We all really enjoyed going to this pottery painting attraction in Bala, Capel Clay was very relaxed and the boys really concentrated on painting their tanks. 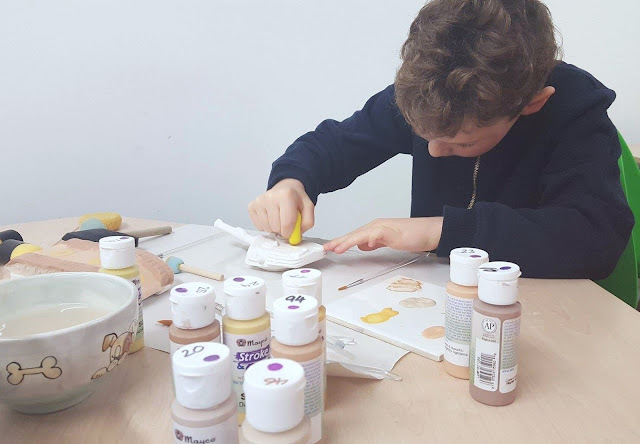 It was nice to have a more sedate activity over the half term holidays and with the weather being so dreadful we were grateful of an indoor activity. The boys were behaving so well, that the wife and I decided to paint something too; usually we don’t get the chance as we are on supervising duties! You pay the price for the item you want to paint; these vary from £4 for very small pieces like the cute dragons we did, £16 each for the tanks the boys picked to considerably more for bigger pieces. You then pay a set fee of £3 to paint your piece. 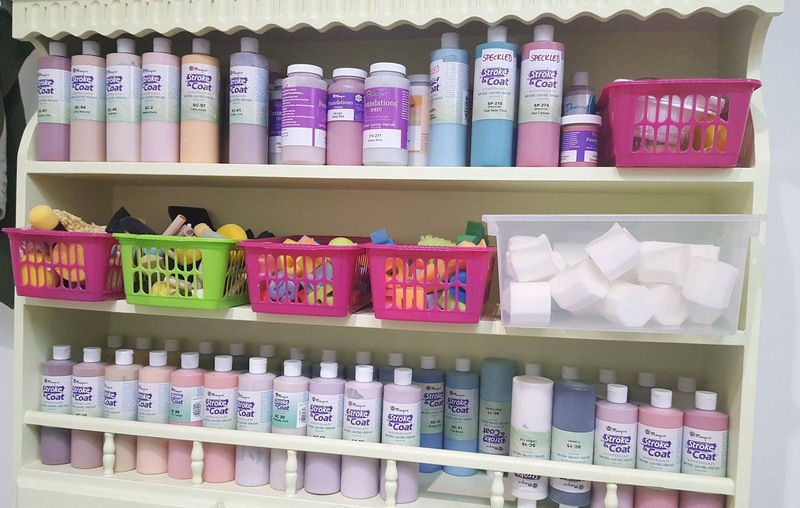 The vast choice of what you can paint is impressive, everything from vehicles, zombies, dragons, bowls and castles! It was hard narrowing it down to which one to do, but I am sure we will be back again soon so can try something else. Eldest has already decided he needs a fighter plane to go with his tank. We did the dragons because we just wanted something to paint without spending too much in the process; we gave the boys the greater freedom of choice instead. Capel Clay had lots of brushes and sponges and even offered the chance to try bubble painting so you could see an interesting pattern on your pottery. We were curious about this so it might be a possibility for the next visit too. The owner was very helpful, giving advice about techniques and making suggestions. You are given as much time as you need to finish your masterpiece, you are not rushed. Also which I thought was very handy was the board with all the paint colours on when dried, so you could get a rough idea of what your pottery piece would look like with one, two or three coats of paint. Once you have finished pottery your pottery it remains to be fired, then you can take it home to enjoy!